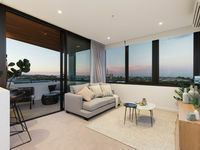 Welcome to Riverlight - Hamilton Reach's newest apartment complex, offering one of Brisbane's most exclusive and sought-after lifestyle opportunities. Presenting an affordable opportunity to downsize, invest or relocate to a spacious, light filled three bedroom apartment with lifestyle perks at an abundance. With a functional and spacious three bedroom floorplan, you'll be immediately impressed by the open plan, light soaked interiors on offer. An oversized galley style kitchen (serviced by Bosch appliances) featuring servery to a large balcony ensures the opportunity to entertain with ease. Three large bedrooms, all with built ins & master with ensuite and functional, flowing living / dining spaces will challenge you to find a more inviting design or better value for money. Riverlight offers residents an unrivalled lifestyle with exclusive to residents dining / entertaining room adjoining a large pool and leafy BBQ areas. With additional common use bicycles & kayaks, residents will enjoy an active lifestyle in picturesque surrounds. 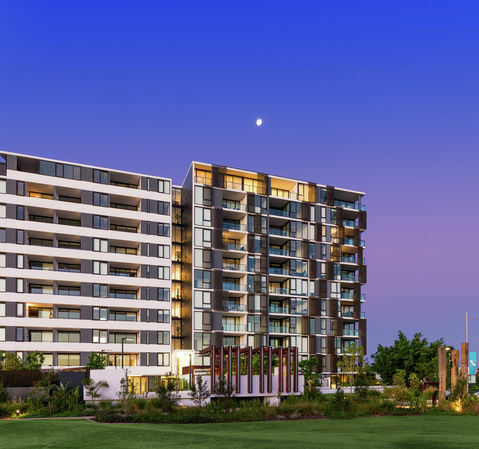 Hamilton Reach is ideally situated just 6kms from Brisbane's CBD, in the quieter, eastern end of the Northshore Hamilton area. 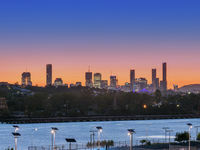 Its expansive, natural surroundings and tranquil riverfront location invite a relaxed, peaceful lifestyle, whilst its convenient inner city location offers quick and convenient access to a wide range of recreational, retail, dining and entertainment options. With Northshore City Cat terminal at your doorstep, enjoy a relaxing commute to the CBD, along the river in under 40 minutes. 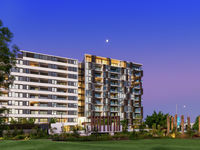 With over 2.5 hectares of parkland throughout, Northshore Beach providing the opportunity to take advantage of activities on the river including kayaking and stand up paddle boarding and being bordered by the Royal Queensland Golf Club, you will not find a lifestyle like the one on offer here, in a location so close to Brisbane's CBD.